I just purchased my first ever motorhome earlier this year, a used 38-foot Damon. I have what seems like fruit flies breeding in the black water holding tank. No problem with the gray water holding tank. Whenever you push the flush foot pedal, the flies come swarming up out of the commode. I tried a half gallon of ammonia down the toilet and it seemed to help for a few days, but to no avail, they are back. I have talked with some of other motorhome residents in my park, but they have never heard of this problem. I usually dump both tanks when they are about two-thirds full. Has anyone had this problem before and what was the solution? First off, Jim, congratulations on the purchase of your first-ever motorhome! 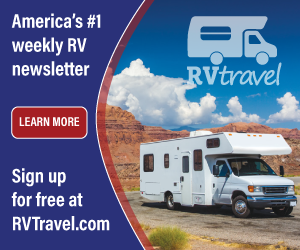 I’m sure you’ll rack up plenty of RVing miles in the coming months! About your bugs, you are evidently experiencing an onslaught of sewer flies, also called drain gnats among other names, (some of which may not be printable here). Depending on your specific variety, the scientific name is probably either Psychoda alternate or Psychoda cinerea. They are sometimes found in RV holding tanks since they thrive on moist organic waste, especially solid waste. Just the kind of stuff you’d find in the black holding tank. Primarily one that has not been cleaned, flushed or maintained adequately. Chances are, at some point, your new-to-you motorhome was probably stored without the holding tanks being flushed, cleaned and emptied completely. Thankfully sewer flies do not bite, but they can be very annoying and still even dangerous at times. Because they are born among decaying filth and waste, they have the capability to transmit diseases to humans. Prolific little creatures, they lay their eggs in masses of anywhere from 10 to 200 groups, according to one report I researched. The larvae resemble small worms; basically without legs. The eggs can hatch anywhere between 32 to 48 hours. They mature in about two weeks and simply keep reproducing until they die or are eradicated. But keep in mind, new adults keep emerging from the pupae every 20 to 40 hours! The adults live approximately two weeks. For short term relief, published reports recommend using a spray can of an insecticide containing pyrethrins or resmethrin. This will knock the adults down for a while. I must admit, however, I’ve never personally tried the insecticide route, but if you do, always follow the proper safety precautions for pesticide use, especially inside the motorhome. After killing those in the immediate area, be sure to sufficiently vent the entire RV. Read the precautions on the spray can carefully! But the best defense against long term infestation is to simply keep the holding tanks flushed and clean during periods of non-use. In your particular instance, it may be necessary to have your holding tanks hydro-cleaned, (see allprowaterflow.com). Because dried out waste can often stick to the bottom of the holding tank or clog the outlet of the tank, simply draining and flushing with fresh water may not be enough to dislodge all contaminants. And as you flush the toilet, the added moisture imbues new life into the larvae, prolonging the infestation. 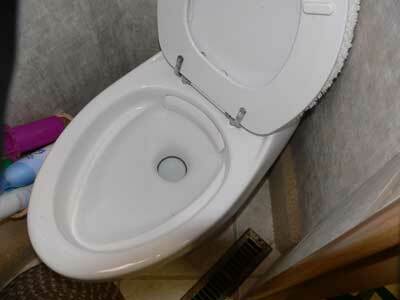 The bottom line is that the toilet drain and the black holding tank must be thoroughly cleaned prior to placing the motorhome in storage. Though some people may not favor a holding tank additive, the proliferation of sewer flies is one strong case to indeed employ one. An enzyme-based, formaldehyde-free additive, one that helps digest the solids, is my recommendation. I’ve personally seen an infestation so severe that the flies had backed up into the integral tubing inside the toilet. The toilet had to be completely disassembled, cleaned and reassembled. It was quite time consuming. Hopefully your situation isn’t that bad. But it does mandate at least a complete inspection of the toilet and other components such as the vent pipe for that holding tank. It’s not the end of the world obviously, but it is quite annoying!